Florida Baptists were well represented at Conclave, an annual youth ministry conference, which drew 800 student ministry workers from multiple states to be equipped and encouraged in their work. The conference, which took place at the Chattanooga Convention Center from Jan. 24th to the 26th, is done in cooperation with the Baptist Conventions of Georgia, Tennessee, South Carolina, North Carolina, Alabama, Mississippi and Florida. 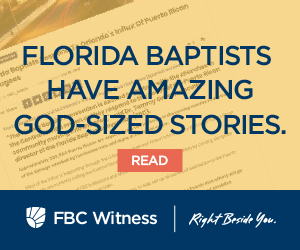 The Florida Baptist Convention [FBC] took part in Conclave in an official capacity for the third consecutive year. Joel Morgan, youth pastor at Immanuel Baptist Church in Pace. Several Florida Baptist ministers led sessions at Conclave. Joel Morgan, youth pastor at Immanuel Baptist Church in Pace, led a breakout titled 5 Relationships That Matter in Student Ministry. Morgan’s breakout discussed how ministry is all about relationships, so ministers need to learn to grow and develop them, especially the ones that are a priority, like God, our families, our students and other leaders. BJ Hurse, next gen pastor from First Baptist Church in Ocala, lead a breakout titled Ministering to Students in a Crisis. 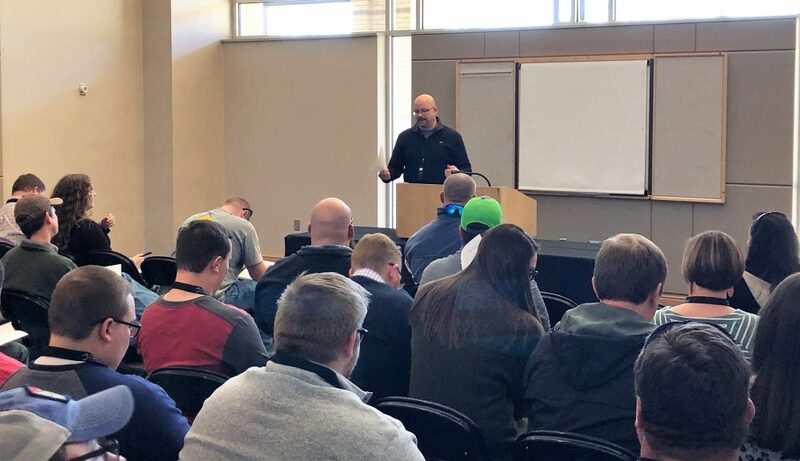 In his session, Hurse shared how his church ministered to students and faculty after a school shooting took place just across the street from the church building. 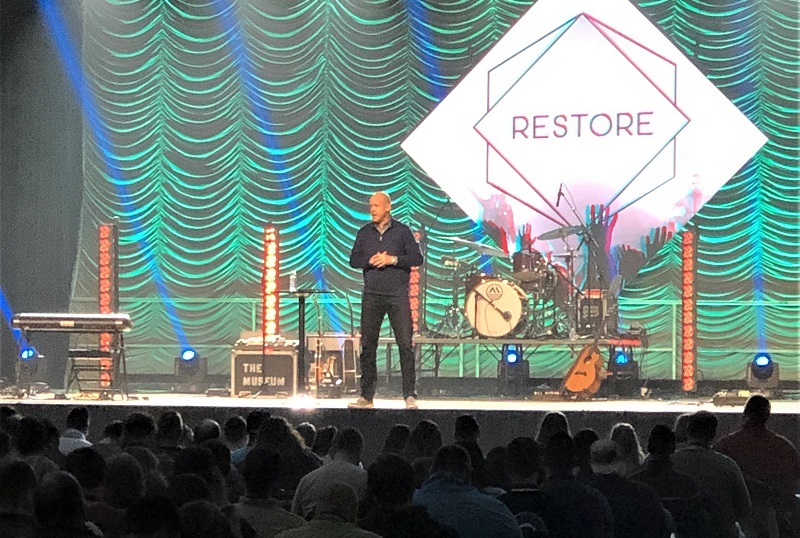 Jimmy Scroggins, pastor at Family Church in West Palm Beach, spoke from the main stage during the conference’s second session. In his message Scroggins encouraged youth workers saying: “I believe student ministry is the tip of the spear in North America. It is vital in our churches.” Scroggins also led a breakout on how to share the Gospel using the 3 Circles evangelism message. “Joining with excellent student ministry leaders from fellow state conventions displays our cooperation and ability to provide excellent training and encouragement to our youth workers,” said Billy Young, Next Generation Ministry Catalyst for the FBC. Dates for Conclave 2020 are January 23-25. Next year’s registration information will be available at ymconclave.org. Billy Young serves as the Next Generation Ministries Lead Catalyst for the Florida Baptist Convention. With more than fifteen years of experience in student ministry with the local church, he is passionate about seeing students surrender to Jesus’ plan for their lives, partnering with and mentoring next generation ministry leaders, and preaching the Gospel. He holds Bachelors and Master’s degrees in Education from the University of Florida, a Master of Divinity from New Orleans Baptist Theological Seminary, and a Doctorate of Ministry from Southeastern Baptist Theological Seminary. Billy is married to Denise and is blessed to be the father of three daughters. Billy is a fervent fan of the Florida Gators, instilled in him as a backup quarterback of the 1996 National Champion football team. He is an avid sports fan and enjoys punishing himself by participating in triathlons.